The federal income tax rate for payers with taxable income of 379,150 or more, which obviously includes millionaires, is 35%. What does the AP mean by “middle income”? If they mean people with taxable income between 34,500 and 83,500, their rate is 25%. Is Obama proposing that millionaires who are now taxed at 35% should pay at least 25%? That can’t be. 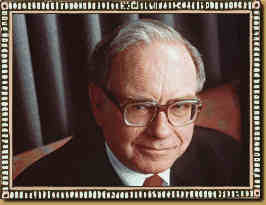 The AP says that on Monday, Obama will announce what he will call the “Buffett Rule” for the rich. Perhaps we will know what it is after he proposes it. At least that’s better than having to wait until Congress passes it. How’s that again, a $447 billion “spending and tax cutting” plan? I’m confoosed. I didn’t know spending was a tax cutting measure. As I understood it, Barack Obama’s most recent jobs plan calls upon Congress to appropriate another $447 billion that the President and his administration can spend as they see fit to create some jobs. But the President did say in his speech that he would “cut payroll taxes in half”, temporarily. Payroll taxes are those deductions from your pay that go for Social Security and Medicare. Obama also said it is time to “raise middle class taxes”. Aha! I think I’ve got it. If we raise middle class taxes to 35% that will “ensure that millionaires pay at least at the same percentage as middle income taxpayers”. Now that is amoosin! But I’m still confoosed. This entry was posted in Humor, News, Opinion and tagged Buffet Rule, millionaires, taxes. Bookmark the permalink.